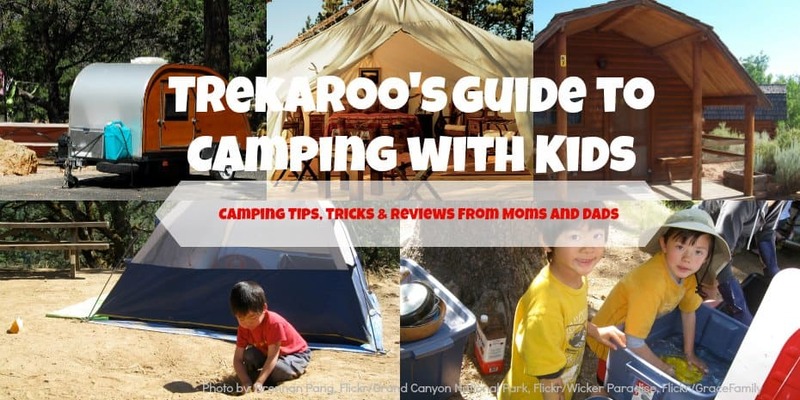 Welcome to Trekaroo’s Ultimate Guide to Camping with Kids. Whether your family’s been camping since you were a child or you are brand new to it, here are tips from real moms and dad who reflect every style of camping. From practical tips, to campaign recipes, to family-friendly campground reviews. You’ll find quick links to all of Trekaroo’s best family camping advice. First things first, take our camping quiz to find out What Kind of Camper Are You? – Take our Quiz! What are Good Toys to Bring Along Camping? Looking for complete coverage of our national parks? Explore them all on our National Parks with Kids page. Check out our Camping Pinterest boards! There are more camping gear out there than baby gear! Now that’s saying a lot. Trekaroo families share their favorite camping gear to help cut through the clutter. Camping isn’t just about pitching a tent and roughing it out. There is a camping style to fit just about every type of traveler from the keep it simple outdoor adventurer tun mom and dad to the luxury travel family. Here are camping tips from mom’s and dad’s who fall across the entire colorful spectrum of family camping. What is your favorite campground? Write a review today!